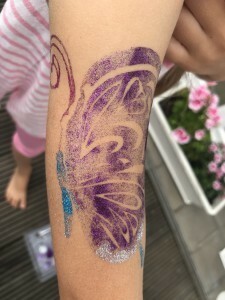 Glitter tattoos for children self-made. 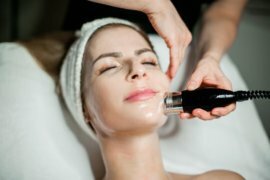 Easy to apply and beautiful! 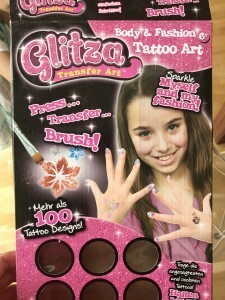 My little daughter Mina (5) loves it colorful and this includes of course tattoos for kids. When one of her friends visited recently I could make the little girls very happy! 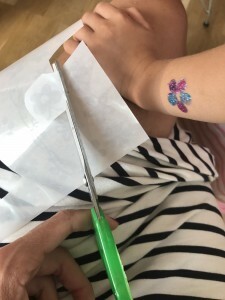 With my self made glitter tattoos which are kind of an advanced variation of the simple sticker tattoos! *Advertisement due to unpaid product placement! I had ordered a glitter set online. Mine hat cost € 18 and we van surely use it for a while. 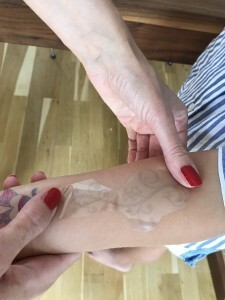 I would say that it will lasts for 5 – 8 times depending of course on how many tattoos the children choose. 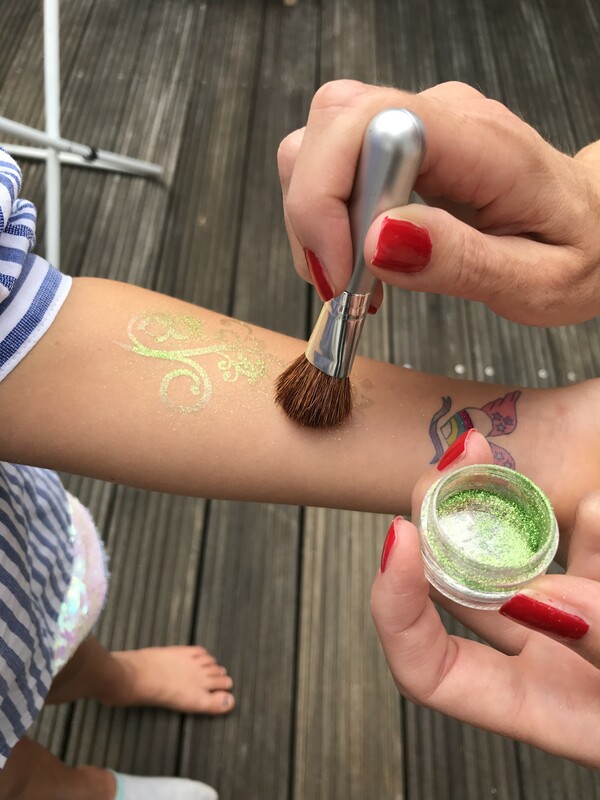 Glitter tattoos are a mixture between dream and fantasy, reality and illusion. 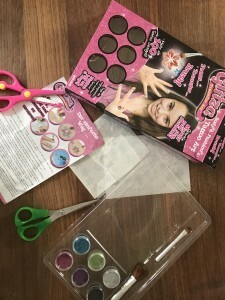 Be it glitter horses or fairy – my girls had a great choice of basic patterns. 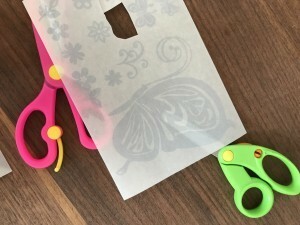 Mina chose two different butterflies and her friend went for fantasy patterns. 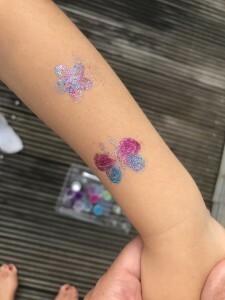 However compared with normal tattoos these contain sticker patterns which you fill in with glitter paint and dust after sticking them on. To be honest-I certainly am no tinker queen but I really enjoyed it. The prescription said that the tattoos might last up to seven days. They actually lasted almost two weeks. To wipe off the rest I used make-up remover. My little one was approached by her friends and during her swimming lessons due to her tattoos and all wanted to touch them. She was solo proud. 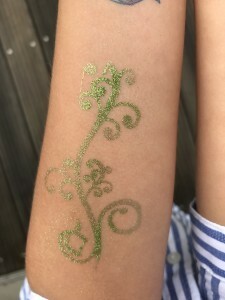 Of course Mina asked me right afterwards when we will apply glitter tattoos again! Maybe you will try it out with your kids as well and send me the results! My little would surely be very curious. 😉 Enjoy!